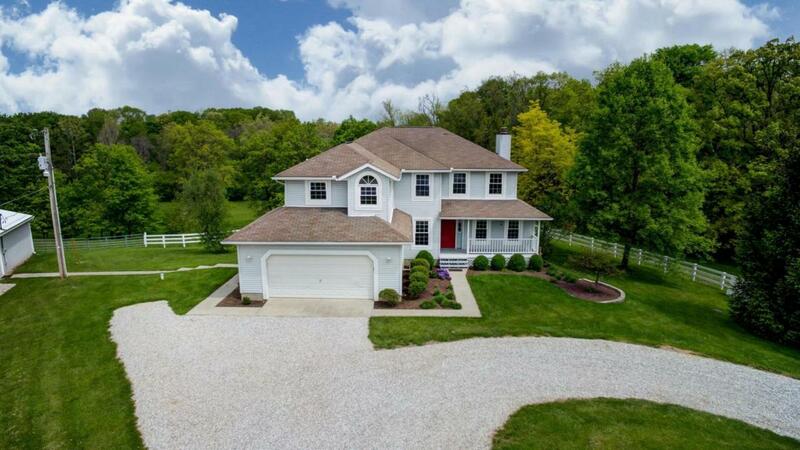 Granville Equestrian Farm sits on 20 gorgeous rolling and wooded acres! 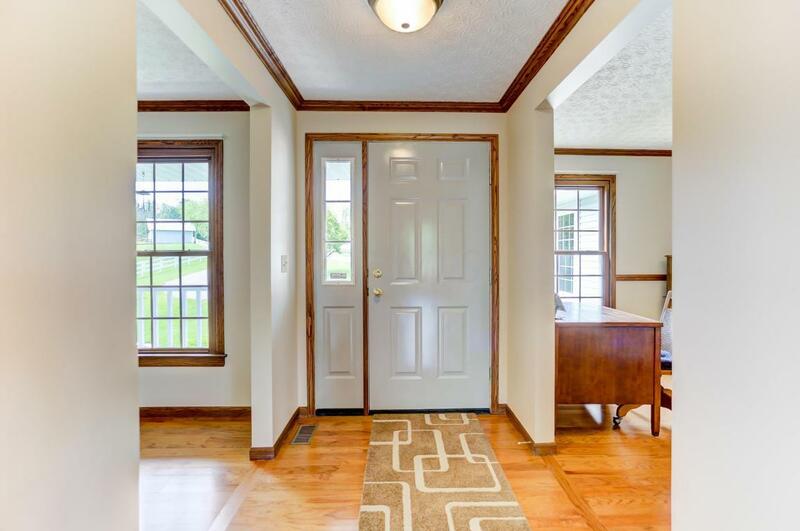 4BR/3BA updated home with finished walkout lower level, wood floors in most of main level. 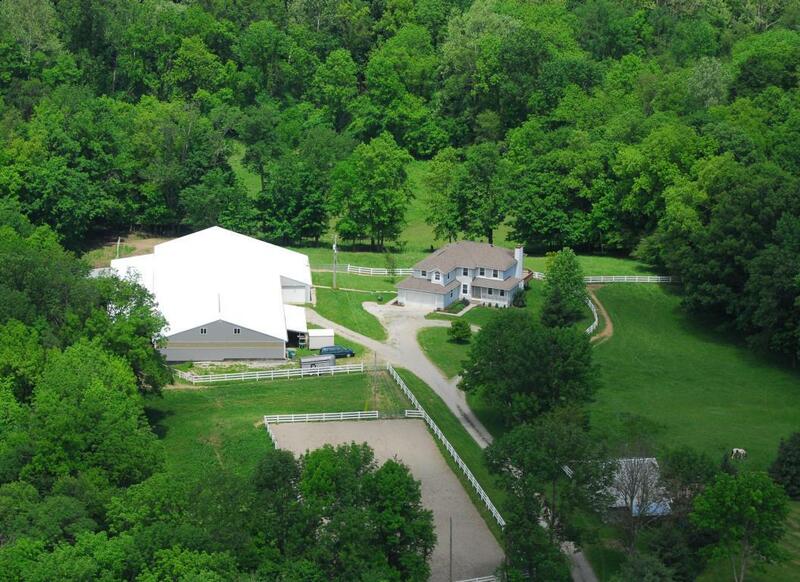 70x210 3-season outdoor arena with drain tile and 60x124 lined indoor riding arena! 18 stalls including oversized foaling stall, heated tack room with lockers & feed room, overhead hay storage, side bays for equipment storage. Additional 4-stall barn with paddocks and garage space. More pastures & wooded trails! 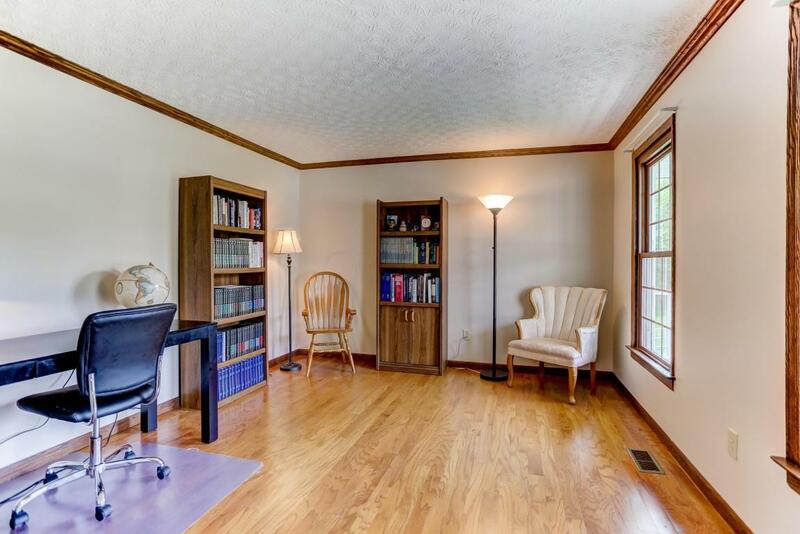 This is a beautiful property with well-maintained house and horse facilities. It's a 7-minute drive to Granville Village, easy drive to I-70 or SR16.